Get in touch with us to purchase corrosion resistant Pot Type Strainer. This strainer is finished to perfection for varied applications in industries. 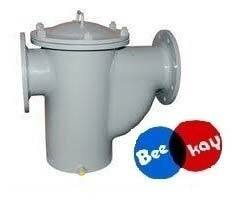 The supplied strainer is made by us using premium grade raw materials. Furthermore, it is quality approved and has undergone several quality tests. The pricing is also modest for such a quality product.